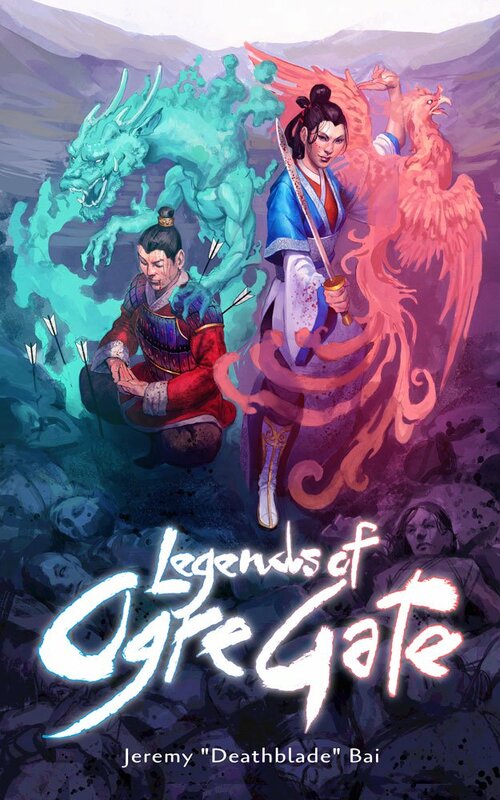 At Wuxia World you can catch the latest chapters of Legends of Ogre Gate, which tell the story of Sunan and Bao. The latest releases are Chapter 34 and Chapter 35. Here is a new monster and medicine inspired by Sunan's latest challenge. Filled with hate for humanity, Crab Demons are more commonly found far to the south, but occasionally make their way to places in the north. They feed on human flesh, and develop a taste for the bloodlines of reliably tasty prey. In their natural state they look like 7-foot tall crabs, with heavy blue carapace and shaggy tufts of hair on curved claws and legs. Crab Demons are attracted to and horde bright metallic objects and revere an entity they call The Glimmering King. Claw: The Claws of a Crab Demon do 4d10 Damage plus 2 Extra Wounds. On a Total Success they drain a point of Hardiness. Torment of the Crabs: At will, Crab Demons can explode and unleash a rain of carapace fragments, ooze and flesh. Roll 4d10 against the Evade of anyone within 30 feet. On a success, the targets take 3d10 damage and are exposed to the Curse of the Crab. Sand Blast: Crab Demons can strike the ground and release a 40 foot cone of sand that shreds anyone caught inside as a free action. Roll 3d10 against the Evade of all affected. On Success they take 1 Automatic Wound, plus suffer a -1d10 to Detect for an hour. On a Total Success the target’s are blinded for three rounds. This requires the presence of sand or soil to perform. Transform: A Crab Demon can take human form, but its eyes always remain blue in this state. This horrifying condition can afflict anyone harmed by a Crab Demon's Torment of the Crab ability. Roll 3d10 against Hardiness. On a Success the target turns increasingly blue over the next four days, becoming a Crab Demon on day 5. On a Total Success the target turns into a Crab Demon within 5 hours. The change is permanent, and even if a cure is administered before the 5th day or hour, any change to the skin remains. This is a cure for Curse of the Crab. 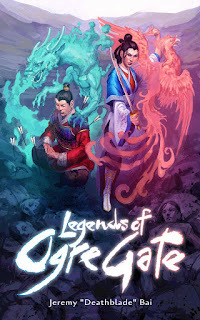 According to legend it was invented by Lady Yan of Daolu. It is made from violet ginseng rootlets, blackberry lily, rice wine, lotus oil, under heaven lichen, numinous mushroom and ten more ingredients. The ingredients must be boiled in a clay pot for an hour, until all that remains is a thick black liquid. This can be prepared with a the Talent-Poison Skill (TN 8). If administered it completely stops the Curse of the Crab, provided the change has not fully taken hold. However the victim's skin will remain blue.